The What, How, Where and Cost of Linen Thread for Leatherwork. What we’re going to be talking in this free live training, are the complexities of thread options and we'll be unraveling (get it?) the mystery behind thread options for leatherwork. Because it doesn’t have to be that complicated! Thread can be one of the most confusing topics when you first get started with traditional leatherwork. 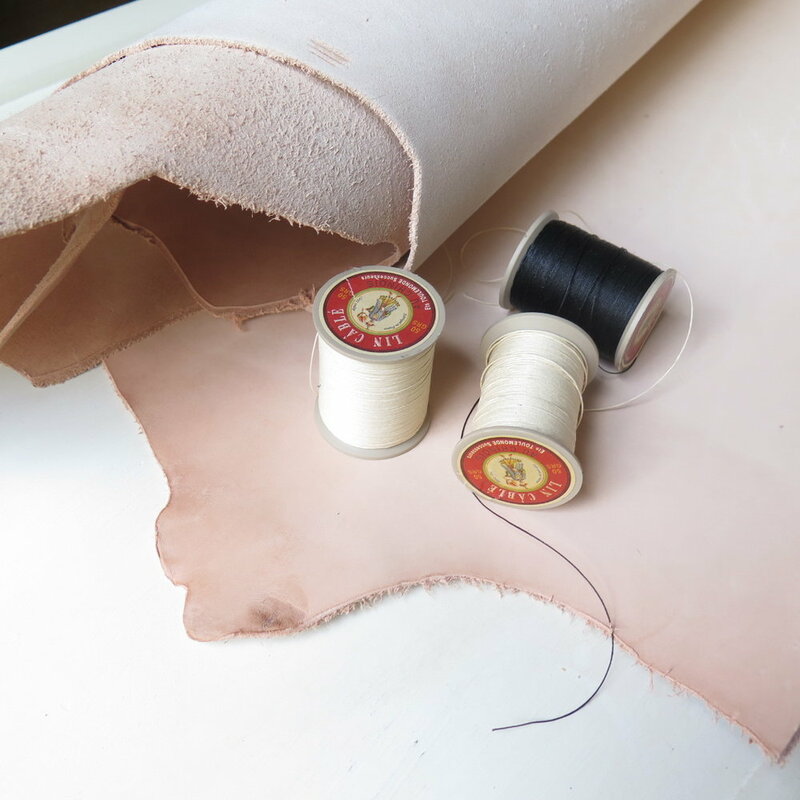 We know that leatherwork is a skillset that requires a lot of time and effort so you want to make sure you're using the right materials, including thread upfront. So when you're a beginner and you're not sure what type of thread, what size thread or even where the heck to buy the thread, it can be a paralyzing thing. If you’ve ever had questions about thread, you’re not going to want to miss this free training. WHO IS THIS LIVE TRAINING FOR? If you're a beginner who just isn't sure which type of thread you should be using in your leatherwork, then this training is for you. If you're not sure where you can get quality thread, don't worry because we're going to cover that topic as well. In addition, we going to weight the pros and cons of using linen thread vs. syntheticthread and (i'm not going to lie), also why you should be using linen thread for your leatherwork. If you want to get the best results and create beautiful and long lasting leather goods, then save your spot above and attend this live training. Oh also, if you're interested in skipping the trial and error and cutting right to the facts, yea then this live training is for you too. For those of you who don’t know me, my name is Mary and I have been studying traditional leatherwork for 4+ years. I got hooked on leatherwork after I took a class with a master leatherworker who worked for the luxury leather goods industry for many years. I became obsessed with this new passion of mine after she gave me all of her secrets :) and I began to learn so much more on my own through trial and error. I aim to serve those interested in skipping the trial and error and cutting right to the facts.